EP. 46: WHAT’S A “NEW NORMAL”? AND TIPS FOR ADJUSTING TO IT! You might be adjusting to a new normal right now, and not even know it! 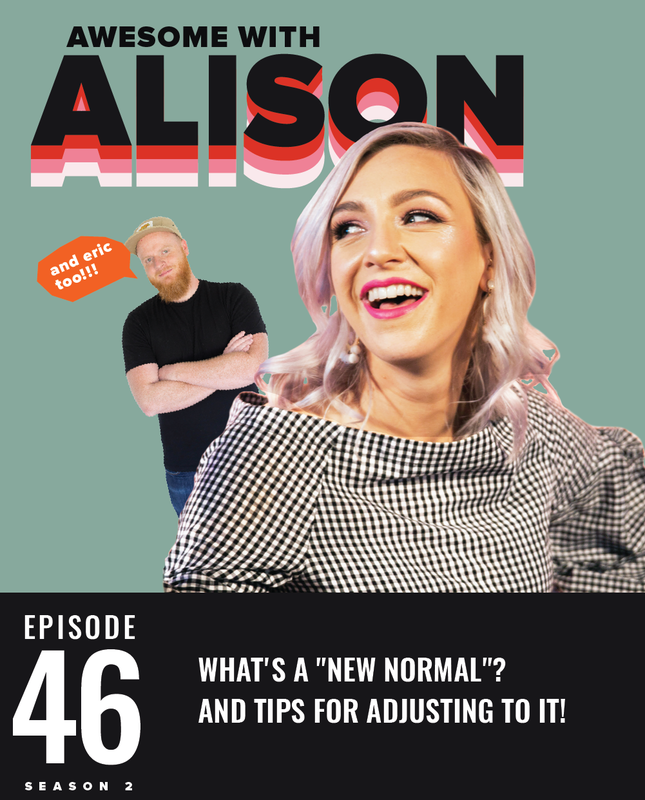 In this episode we’re talking about how both HUGE and seemingly small life changes can cause us to feel totally whack, and then we’re giving you 5 suggestions for adjusting! This insight comes from my experiences suffering pretty severely from postpartum anxiety as well as my experience with learning to adjust to life after being hit by a car. But don’t worry, we still have a good time! And no matter where you’re at in life we think these ideas will help you feel a little more awesome than you did before! See you on the other side! Try to remember it’s not always going to feel like this. Accept help, ask for help, help is great! Make sure to listen to the entire episode to capture all of our beautifully normal ideas! Awesome with Alison Ep. 45 How to be a rockstar at making decisions! Awesome with Alison Ep. 24 I’M FREAKING GRATEFUL: A gratitude practice to help you love your life!